We are gladly informing you about the upcoming update that finally provides support for Mi Band 2. There was an intention to limit the scope of release to basic support of all the most important features. This goal was met. You can bind band, see steps, calories, distance and sleep information, measure heart rate, configure alarms and other settings. Owners of older bands can be affected by this update also. Please, feel free to report any issues you may see. Some work regarding secondary and new features is still not completed, which will be resolved in next updates. We decided to postpone these fixes so the scope of changes will be smaller and less UI work should be coded and tested for this release. 1. Configure up to 10 alarms. At the moment you can configure three. We need to do a major refactoring on this feature in the app, so it will handle more alarms. 2. Configure displayed items on screen (like distance, calories, etc.). So, please, don't be upset regarding these features, you will get them in next updates. Also, there are some questions on how the app should treat calories and distance calculated by Mi Band 2. New band does it on its own, so you see values on the screen, but in our application, we also calculate these stats and we suspect that our calculations are better. We take into account your temp of movements for each minute, so the result should be more precise. Having two different values in the app and in the band can be confusing, so right now it's still an open question. What do you think? From now our major focus will be on notifications for all versions of Mi Band. Have great last weeks of summer! UPDATE 1.16.1: Improved synchronization of 12/24 hour format, fixed for some regions. Just open "device" page and time format on your band will be synchronized with your phone. UPDATE 1.16.2: Fix of synchronization issues for some timezones. Update your firmware and the time format will auto change to 24h. Mine has switched to 12h after synced on Bind Mi Band. Really need a manual time switcher. I just did an update to 1.16.1 but problem with format is still there. We really need manual switch. I updated to 1.16.1 and the 24h format is back. > Having two different values in the app and in the band can be confusing, so right now it's still an open question. What do you think? I think you should remain your values, but create a button, say "raw data", wherein it would be possible to have a look to the bracelet values. Pro bought. Keep the good work! My app doesn´t count steps, it always shows 0 steps. All other functions (hear rate measurement and alarms) work well. Device is 1.0.0.2. What to do? I have pro version. My Band 2 only started counting steps after binding it with an android phone and installing the last firmware. in shop windows phone (windows phone 8.1) downloaded the old version 1.15 ((((How to get the new version 1.16 ???? Great !!! Keep the good work on !!! I updated my mi band 2 through mifit, but my last vers of my bind is 1.0.0.16, so, what can i do in this situation?? sleep analysis: how does the app decide if I was in deep sleep or in light sleep? Does the band decide from firmware the decision, and only sends the simple DEEP/LIGHT information to the app? Basically, what I want to know, if I can see the raw heart rate measurements (values) during my sleep. So I can see if my heart rate was too high during the night and thats why the band considers I didnt sleep deep. I have to keep restarting my phone to get it to Sync. I'm using a Nokia 640XL LTE with Latest Windows 10. Any ideas? For those, having 12/24h format issues, please, attach your regional settings info. Also, there are some issues with Store, so 8.1 devices are not getting the update. I'm trying to reach MS regarding this. P.S. Once more: use email for support. Can be found in contacts section. 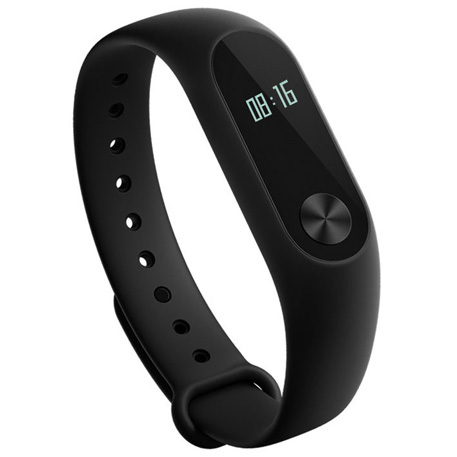 Mi Band 1 not found anymore by program. Connected to Bluetooth but not seen by new program. Anyone is like me? What to do? Thanks. When do it next update? Who can confirm smart alarm on Mi band 2 like on Mi band 1s? Thanks for the great app! Waiting for notifications on winm10. Hello, since last release 1.16.2 some days the app don´t sincronice sleep data. I have two mi band 2, sincronized with two nokia 620. both of them have de same problem. Any ETA for notifications? 640 XL/WM10 Anniversary & Band 2. Pliiz pliiiz pliiz. После обновления некорректно работает определение сна. Каждый раз пишет что засыпаю в три ночи. Время в постели отображается верно. И не работает умный будильник, точнее работает как обычный. I have the same problem on Band2. We are waiting for an update from the author. But the pulse began to measure accurately. А он у многих перестал работать. Причём с 28 августа почему-то. Отвяжи браслет, привяжи к андроиду или айфону через официальное приложение, браслет обновит прошивку. Потом вернись обратно. У меня так заработало. Hi. I tried mi band 2 on this app and found so many problems. Vibration is not working. Alarms are not working. Only time is available on device. Nothing else on Mi band 2. Additionally it stops working on other devices. Unable to connect to iphone and android after using with this app. Any work around. I have Mi Band 2 with 1.0.0.19 firmware. Since i upgraded to PRO Bind Mi Band my heart rate monitor stopped working. No always i get X while i run it. Before it was working flawessly. Heart Rate Monitor should continuously update. After connecting with Mi Fit app, firmware update to 1.0.0.53 and after that heart beat monitor is not working. Before firmware upgrade it was working well.